Situated in one of Nice’s most elegant streets, just a 1-minute walk from the beach and the town centre, Paradis offers comfortable, brightly decorated rooms with free Wi-Fi internet access. All rooms at Paradis feature an en suite bathroom and a fridge. 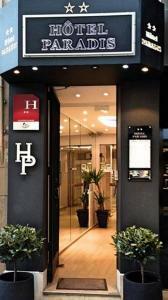 The hotel’s friendly staff will be happy to help you organise your stay in Nice. 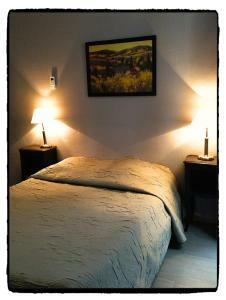 A range of services are offered at Paradis ranging from breakfast in your room to bicycle rental. 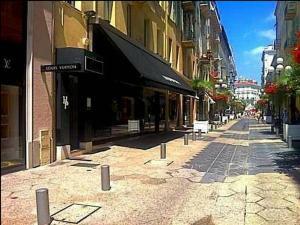 All of Nice’s main attractions can be reached on foot thanks to the hotel’s central location. Please note that the reception closes at 20h00 everyday except Sundays and public holidays when it closes at 18h00 but there is a special code to get in after this time which you must get from the hotel before arriving.